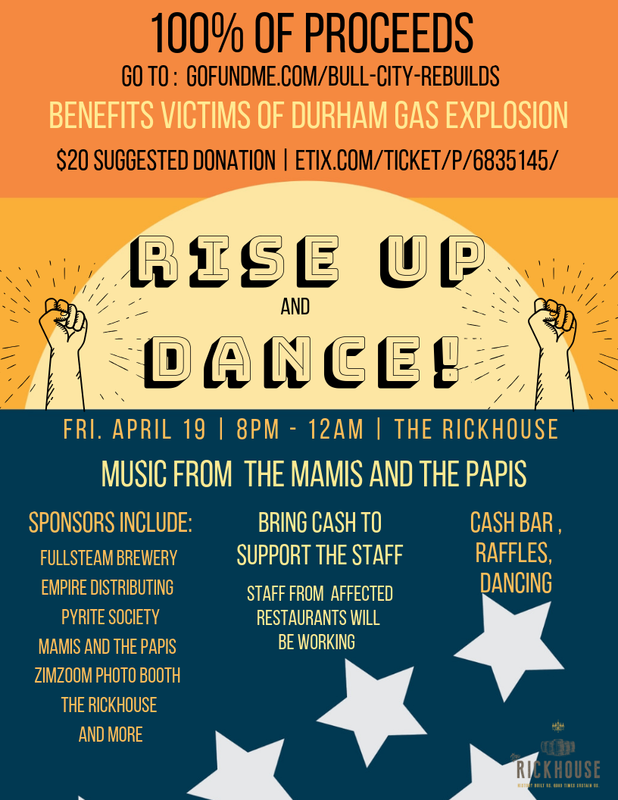 ‘Rise up and Dance’ will be held this Friday, April 19th at The Rickhouse! Our Durham neighbors and friends experienced a tragedy on April 10th when a gas explosion killed Kong Lee, owner of Kaffeinate, injured many others, and severely damaged several businesses in the area. 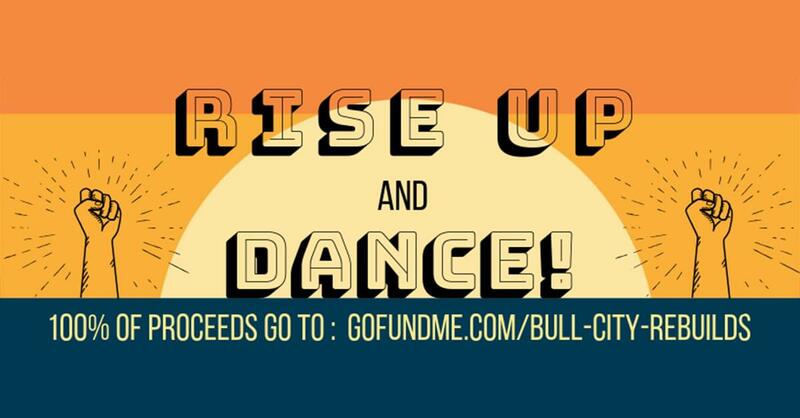 Come out to ‘Rise Up and Dance’ and 100% of the proceeds for this event will go to gofundme.com/bull-city-rebuilds to help the families and businesses impacted by the explosion in downtown Durham. Please reach out to Sarah@rickhousedurham if you would like to contribute a gift card!